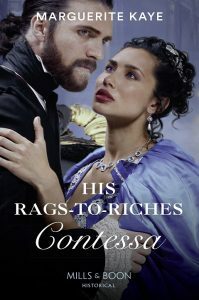 Today I’m celebrating the release of HIS RAGS TO RICHES CONTESSA which is out now in print and digital in the UK, US and Canada. 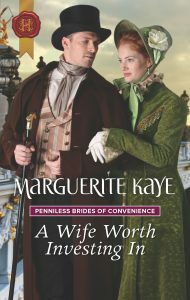 This is the third book in the MATCHES MADE IN SCANDAL quartet which features four seriously down on their luck heroines who are given the opportunity to earn a much-needed second chance by a mysterious character I’ve called The Procurer (whose story is released as A SCANDALOUS WINTER WEDDING in December. This third story is set in Venice at the height of the decadent Carnevale. My heroine is Becky Wickes, a card sharp from London’s rookeries on the run from the law and in fear of her life. My hero is a Venetian aristocrat, Luca del Pietro, who needs Becky to play a vital role in helping him to avenge his father’s murder. 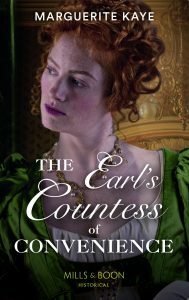 By day, Becky must pose as Luca’s demure English cousin Rebecca, but by night she will frequent the gaming hells of the Venetian Carnevale in her guise as the Queen of Coins. I loved the contrasts in writing this book. Becky’s lowly origins and Luca’s aristocratic birth. The two roles which Becky must play, one so innocent and insignificant, the other seductive and powerful. Luca’s battle with accepting the custom and traditions of his heritage with his desire to be his own man and to live his life on his own terms. And the contrasting glamour of the Carnevale with its darker side, the ridotti where men and women could be ruined by the turn of a card. But most of all, I loved writing about Venice, the shimmering, mystical city that is all about contrasts, where it is so easy to get lost, where you can never be quite sure what is real, or who is behind the mask. It is a city which is breathtakingly beautiful, but which can be sinister, full of portents, a double world, reflecting itself endlessly in the canals which are its lifeblood. You can read more about Venice during Carnevale, in Luca and Becky’s time, a bit more about my inspiration for the story, and some of my research on a previous blog here. Thank you to everyone who offered to read and review the book in advance of publication. You can read some of their thoughts on Goodreads here, and a great review on the USA Today’s Happy Ever After blog here. So, on to the celebrations for release day. 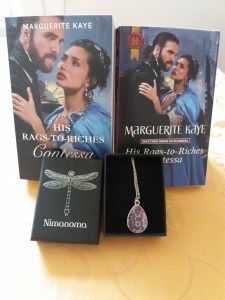 The winner will receive this beautiful necklace from Nimanoma, an artist who uses her background in biology to create jewellery inspired by nature, as well as a copy of the book. All you have to do to enter is to tell me, if you were going to the Carnevale in Venice, what would be your disguise – go on, be as wildly creative as you like! I will announce the winners here on Friday, 5th October. Good luck. 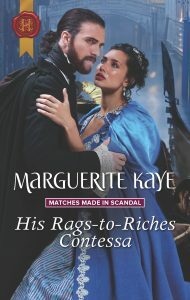 This entry was posted in Book News and tagged Giveaway, His Rags to Riches Contessa, Matches Made in Scandal. Bookmark the permalink. A quirky middle-aged spinster wearing a peacock blue gown and an owl mask! This story sounds exciting. Look forward to reading it. I’d go as a Pocahontas. Thanks for the giveaway chance. A springtime bouquet comes to mind. The gown made to look like layers and layers of petals. Colorful and fun. A mask and fascinator to match. I would love to go as The Belle Of The Ball! I’d dress up as a prostitute. I wish I could see you in Glasgow! KUDOS to you for the “Tickled Pink Campaign”. I lost both my breasts to cancer. One in ’16 and one in ’17. I’m a two time bc survivor. GET YOUR MAMMOGRAMS, LADIES (AND GENTS IF THERE ARE ANY IN HERE). Looking forward to “His Rags to Riches Contessa”! Oh…I visited Venice in the 80’s. It was brill! I would go as a fairy, dress in a shiny bluish green with wings.Thank you for the chance. The book sounds great. Georgiana Duchess of Devonshire. She’s a fascinating woman.